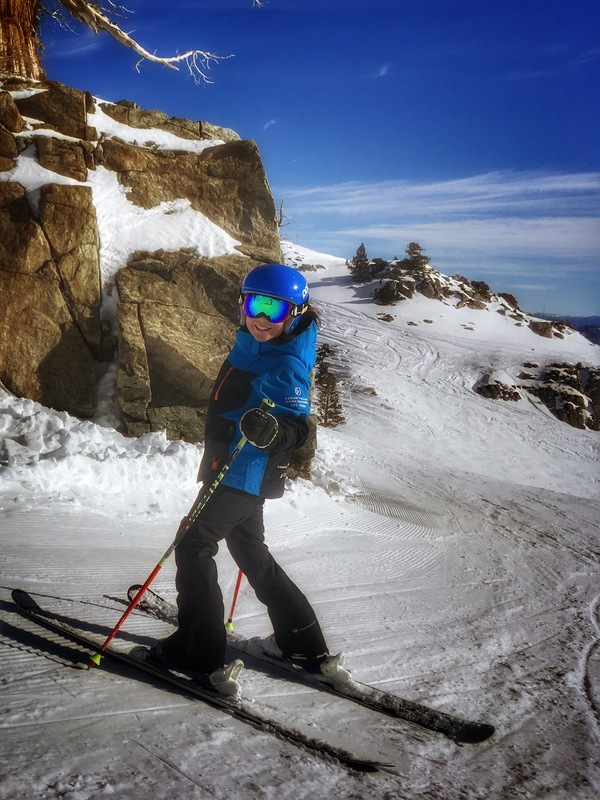 My kids, Avian and Stephen, age 11, are currently taking a one-year sabbatical after being on ski team at Squaw since they were five. I am a beginner compared to them, but they still humor me once in awhile and agree to ski with me. I love watching them on the hill- so carefree and happy. 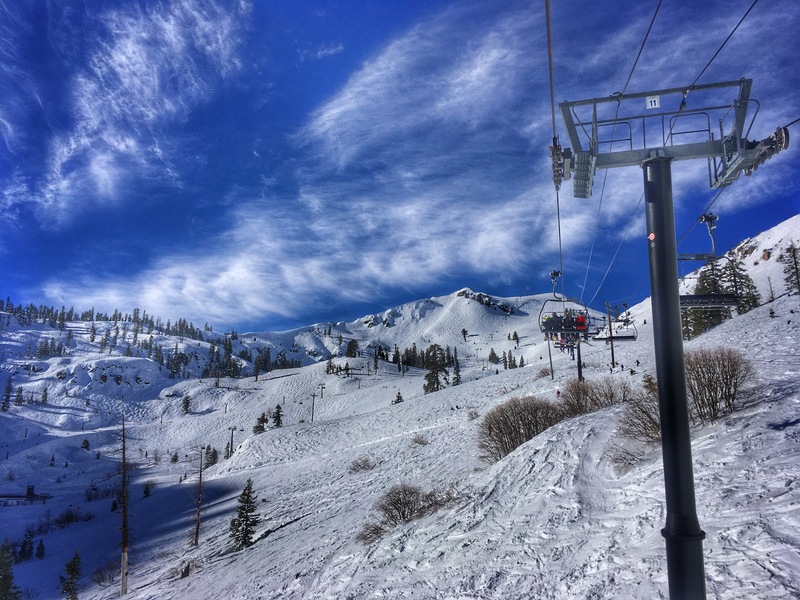 And I learned some of their tricks, including how to avoid long lift lines, how/where to get free cups of whipped cream (yes, full cups of whipped cream), how to make boring runs a lot more interesting, and I got some tips on how to improve my skiing. Squaw One chair, much better than the funitel. Despite a full parking lot, we never stood in a line for more than 5 minutes. Stephen and Avian patiently waiting for me. They both ditched their poles at the bottom for this run, which meant they were free to wave their arms through the air like they were swimming, among other tricks. It might look like he’s wearing goggles, but they’re actually on the top of his helmet – he achieved his goal of not wearing goggles the entire sunny day. Stephen packed the snack bag for us- and surprised me at the end with a beer. Such a sweet (and smart) kid. What a great day! Sure miss you guys!